With just a few months left in his term, President Obama is still trying out some cool, new stuff. 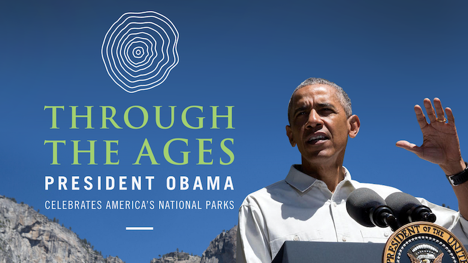 Through the Ages: President Obama Celebrates America’s National Parks is a virtual reality project marking the centennial anniversary of the National Park Service. The experience, which was actually a production National Geographic, Felix & Paul Studios and Oculus, is the first virtual reality experience to feature a sitting US president. The short film, which is available now on the Oculus Store as well as in a 360 format on Facebook, guides the viewer through a beautiful tour of Yosemite National Park with President Obama and his family. “As filmmakers, we wanted to use cinematic virtual reality’s unique transportive power to bring audiences into a journey with President Obama where they could experience firsthand the vertiginous, lyrical, and timeless beauty of Yosemite.” said Félix Lajeunesse, Co-founder of Felix & Paul Studios. Felix & Paul Studios always shoots their short films with equipment designed for the specific scenario. Here, the studio chose to try out some new stuff with their proprietary equipment, including the first-ever VR time-lapse, which was used to capture a sunset at Glacier Point. Sound-editing for the piece was done by Headspace Studios, the 3D sound-processing studio that was spun out of Felix & Paul last year. The soundtrack for the piece features a 60-person orchestra from Prague that accompanies President Obama’s voiceover, guiding you through an auditory experience through Yosemite and Obama’s visit. Ryan Horrigan, Felix & Paul Studios’ Chief Content Officer, told me it was important for the piece to achieve what he called the three hallmarks of a great VR experience: presence, intimacy and access. Of all this was captured on a much tighter time frame than the studio was used to working on, they had just two-and-a-half days with the President in Yosemite. The White House approached Oculus on the project which quickly turned to Felix & Paul Studios as it’s had a close partnership with the VR headset manufacturer for the past couple years.